Musola Cathrine Kaseketi is a filmmaker and activist from Zambia. Upon graduating from Coady’s Diploma in Development Leadership program in 2018, she was the class speaker for the convocation ceremony. 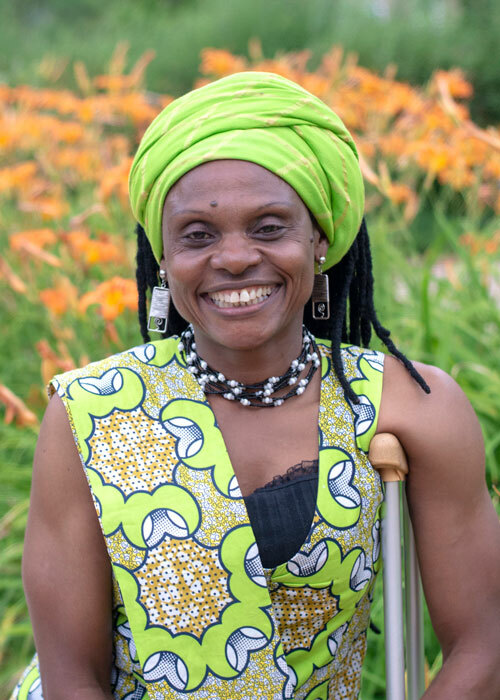 Now, Light for the World has recognized Musola with the Her Ability Award – a global award that aims to honour and recognize women with disabilities who have achieved greatness in their work locally, nationally, and internationally. As one of 158 nominees spanning 53 countries in the category of Arts, Culture, and Sport, Musola was the sole recipient in the category through a juried process. Musola uses her training in both film and advocacy to empower and improve the lives of women and girls with disabilities.